Hopework uses a pay-as-you-can registration system for retreats. This allows people of various means to attend. We ask those who are able to contribute more than the cost of a workshop or event in order that others can pay what they can afford. The minimum contribution is $0; there is no maximum amount! 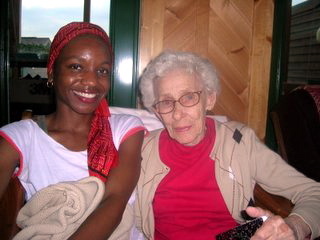 Lives Worth Living participant with Ardes Shea. Contributions are made to the Ardes Shea Memorial Fund. Ardes believed in circles and thought there should be more of them in the world. Our hope is that Ardes’ fund be large enough for Hopework partners to reserve a retreat facility and secure food and lodging for the desired number of participants for the next retreat, and that contributions from all participants will restore the fund for the next retreat. The actual cost of the food, facilities, and lodging are always shared with all participants to be as transparent as possible. Contributions to the Ardes Shea Memorial Fund may be made by check made out to Hopework LLC and mailed to 2650 University Ave W, Apt. 315, Saint Paul, MN 55114. Secure online contributions are also accepted via PayPal using the donation button below.